Lately working on Microsoft flows these days where I am helping my customer to migrate Dynamics 365 workflows to Microsoft flow. One of the workflow was using a timeout condition with Duration Timeout as shown in the screenshot below. 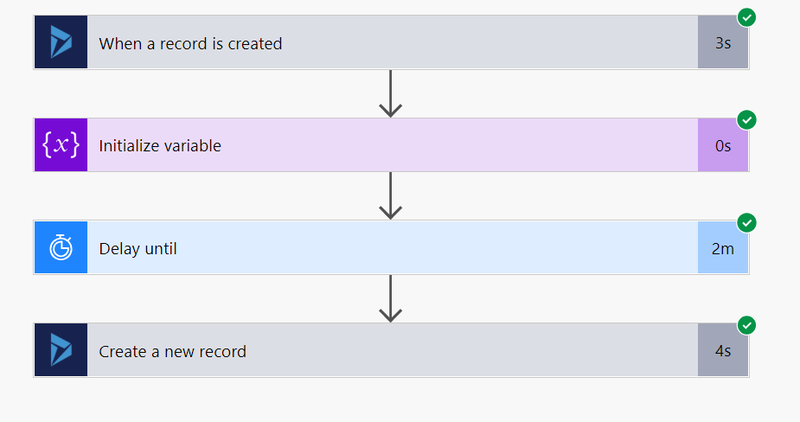 I needed to replicate the same in Microsoft Flows. It’s quite simple and one of the most common requirements. Hence thought of blogging this one. Basically there are two ways. One is using the Approval Trigger where you can set the timeout. However Approval conditions of Flows are meant for specific needs and hence we won’t be using this one. So what is the other way? Let’s explore then. 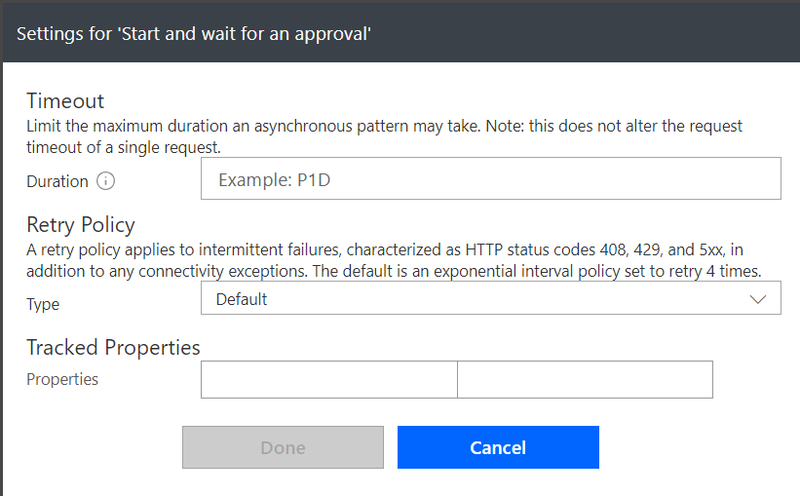 I put a simple requirement here to test the timeout condition. Very simple, isn’t it. So lets see. The first thing is I initialize the variable. The variable type is of string and value I set to 2 minutes from current time. The next step is to add the Delay Until condition and make the flow wait till the current execution time is equal to the variable we set earlier. I end the flow with a create record step of Dynamics 365 which creates a Task record and associates it with the account record. Simple one and I am not showing it. And below is the result when I run the flow. As you can see, the Delay step waited for 2 minutes before it moved on the next step.